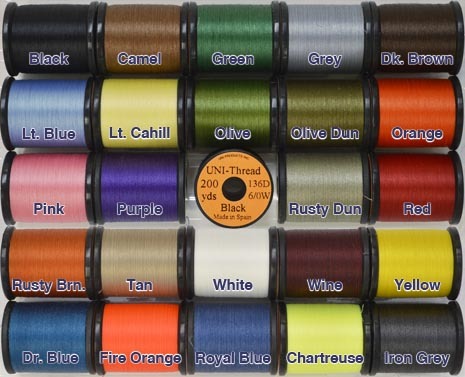 8/0 UNI-Thread is the favorite fine fly-tying thread of fly-tiers all over the world. Noted for being exceedingly strong for its diameter. 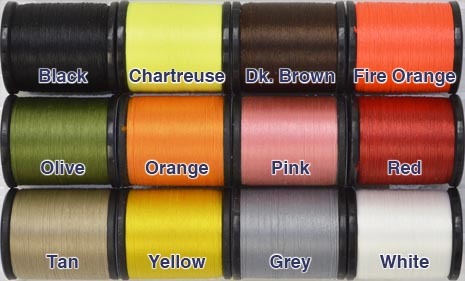 8/0 UNI-Thread is made of continuous polyester filaments, slightly bonded, which ties flat on the hook. 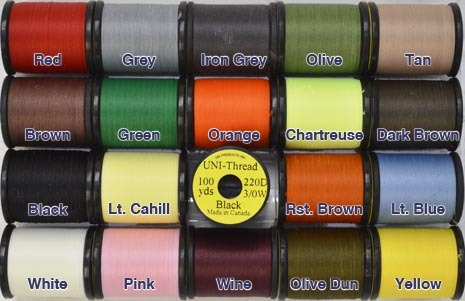 3/0 UNI-Thread serves the fly-tier who regularly ties on hooks larger than size #12. 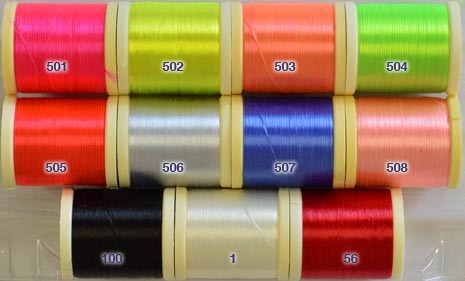 It is of the same material as 8/0 and 6/0 UNI-Thread, but with an increased number of filaments. 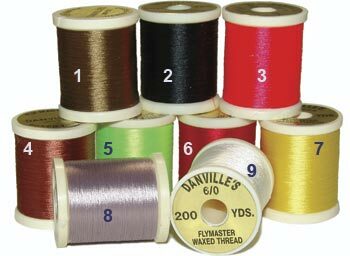 Designed specifically applications where a very strong, easily-handled thread is necessary. Same material (polyester) as UNI 6/0 & 8/0 so it won't dull fly-tying scissors. 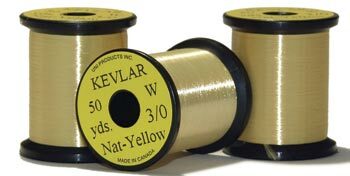 4 times stronger than a 6/0 thread and four times bigger too. 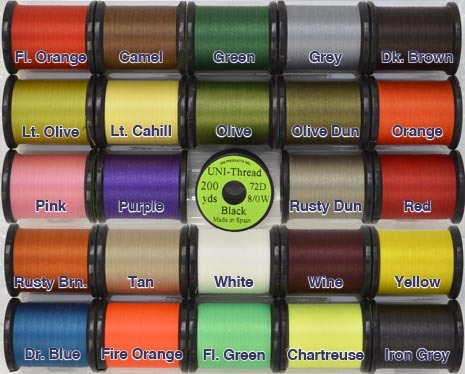 Untwists quickly and easily for flat-thread applications.